It’s a once-in-a-lifetime event. Don’t be unprepared. A coast-to-coast solar eclipse is happening for the first time in 99 years, and it’ll be over in just two minutes. 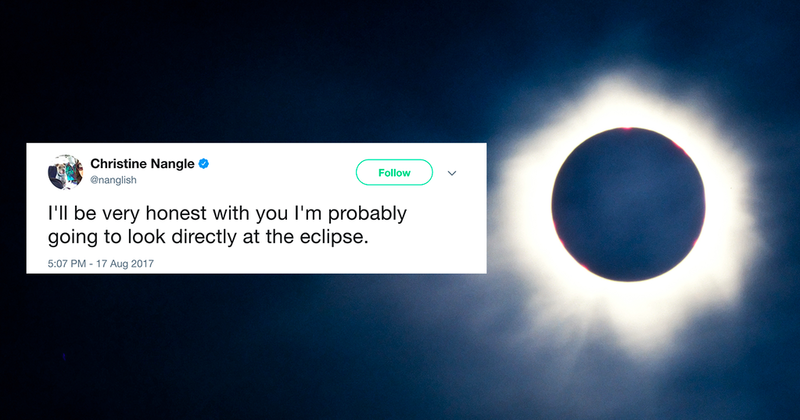 But are you fully prepped for this celestial event? Here’s everything you need to know to be part of history like a pro. If you can’t get a quality vantage point Monday, CNN has your back. 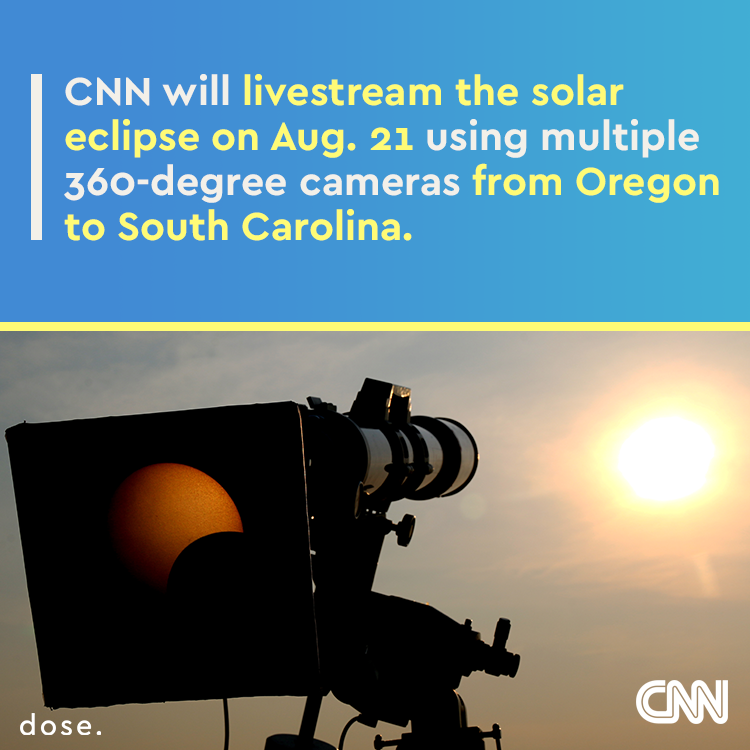 It will air an “immersive live-stream experience” at 1pm EST on Monday, Aug. 21. They’ll go live in 4K resolution, which means the video will be really sharp. If you don’t have TV, you can watch CNN’s high-tech coverage here. 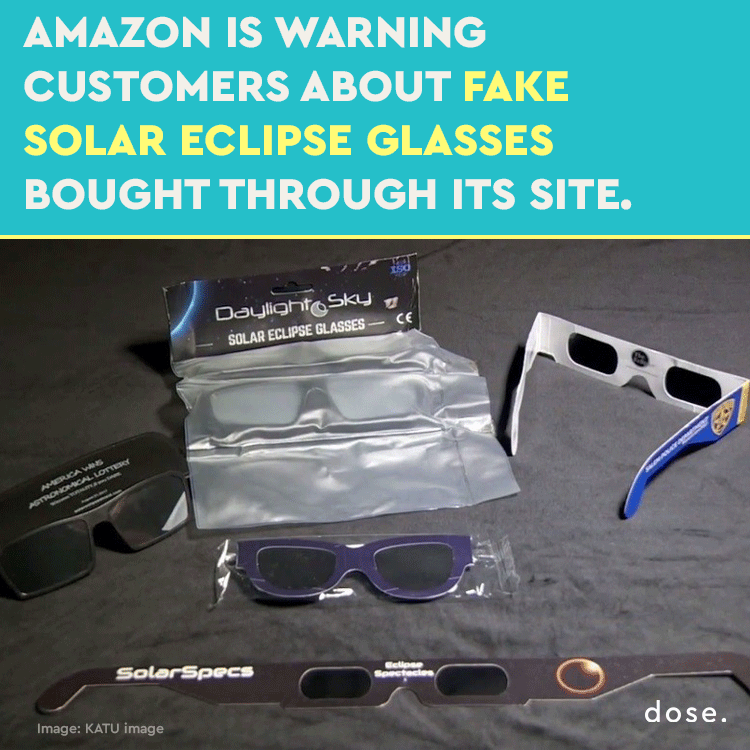 Amazon is refunding customer purchases of protective solar eclipse glasses that it hasn’t been able to confirm come from a reputable manufacturer. NASA and the American Astronomical Society only recognize five manufacturers with glasses that meet the standards for safety: Rainbow Symphony, American Paper Optics, Thousand Oaks Optical, TSE 17 and Baader Planetarium. 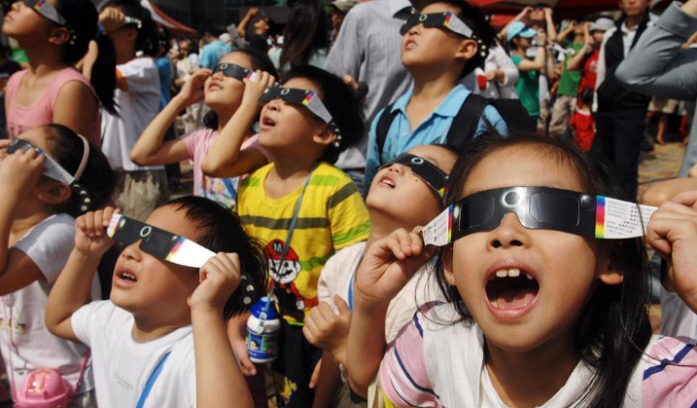 You can seriously damage your eyes by staring straight at the sun, so make sure you’re safe. You may already know what “the path of full totality” is — that’s the area where the eclipse can be seen in full. The path stretches across the whole country, from Oregon to South Carolina. According to the US Federal Highway Administration, at least 7 million people will be traveling to somewhere in the path on Monday. That’s a lot — especially considering that only 12 million people actually live within the path right now. Check out this map to see if you’re in the path of totality, and if you are, consider staying off the roads — and stocking up on supplies — before Monday. Krispy Kreme will roll out (get it?) 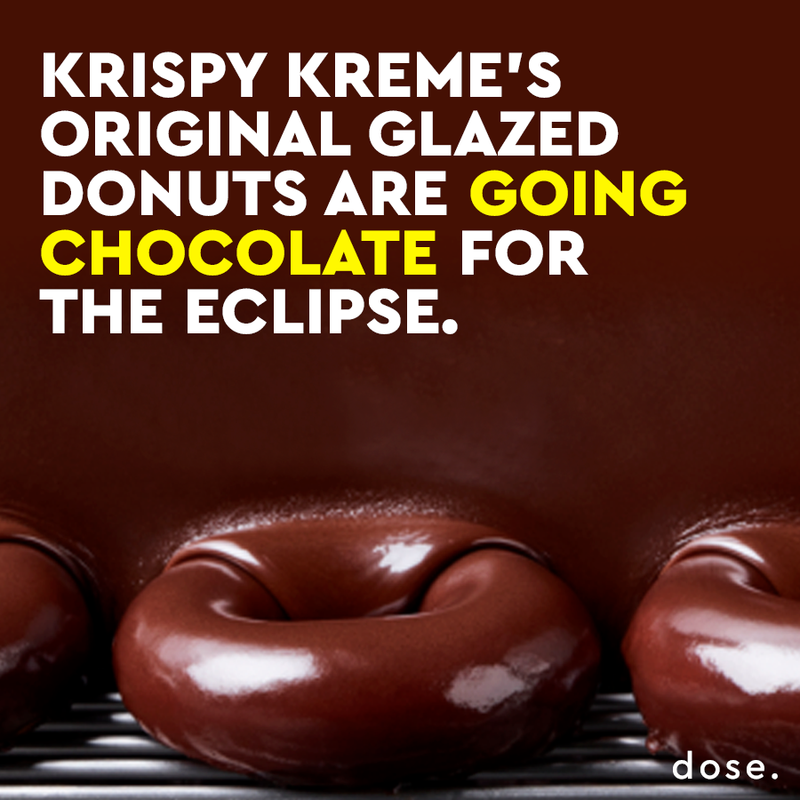 a chocolate version of its famous Original Glazed donut between Saturday, Aug. 19 and Monday, Aug. 21. It’s the first time ever the company has made a chocolate-flavored Original Glazed donut. Wait, what? You thought this couldn’t get any crazier? Think again. 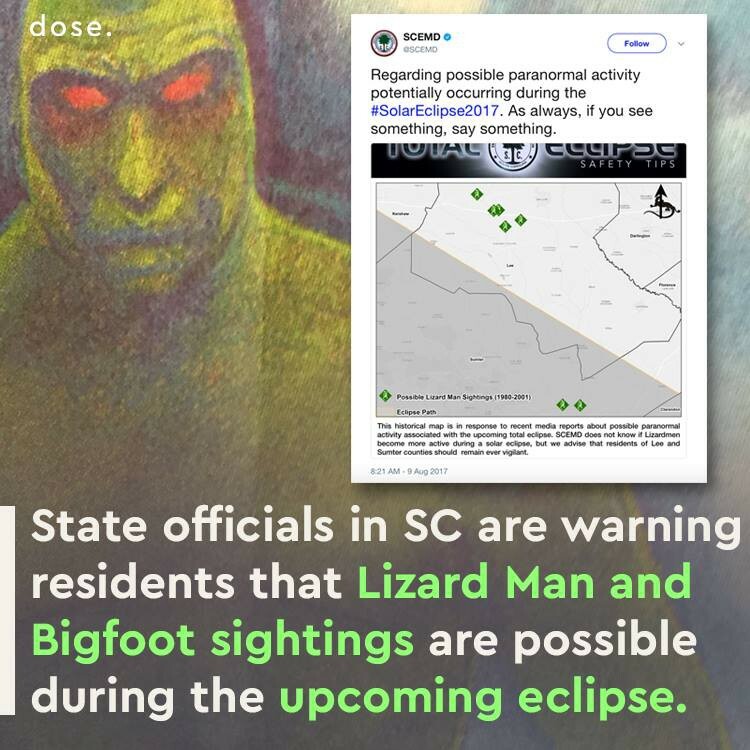 The South Carolina government says there’s a heightened chance of paranormal activity when the sky goes dark Monday. Quick, someone tell Rob Lowe. All kinds of eclipse enthusiasts are coming out of the woodwork, but one couple in Monmouth, Oregon really takes the cake. 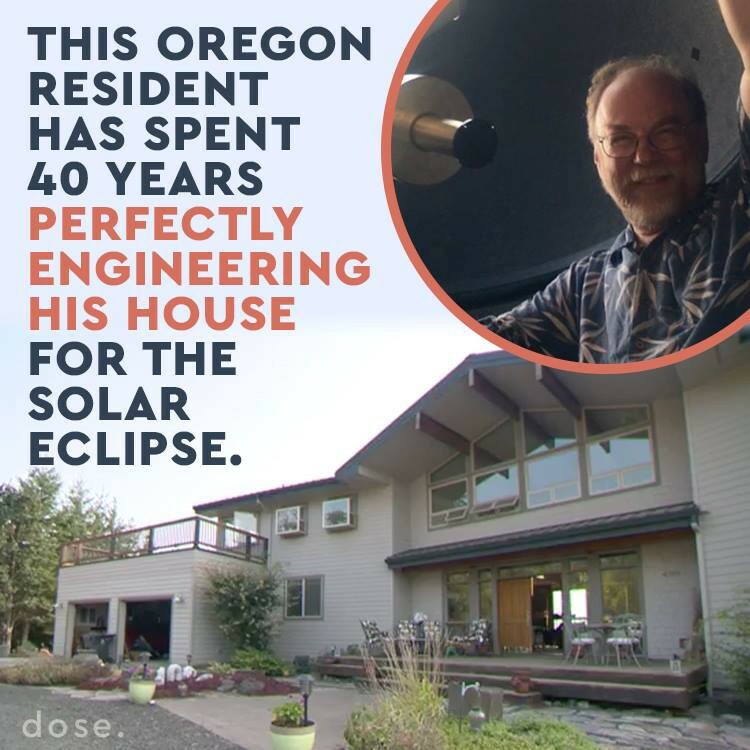 Jon Brewster and his wife bought their property in Oregon in the 90s, specifically choosing a piece of land that would allow for optimal eclipse viewing. Sixteen years ago, the couple built a 7-by-7-foot, fully-automated observatory on top of a column near the house — but not attached to it, because they couldn’t risk a vibration from one of the rooms in the house messing up the camera’s perfect shot of the eclipse. 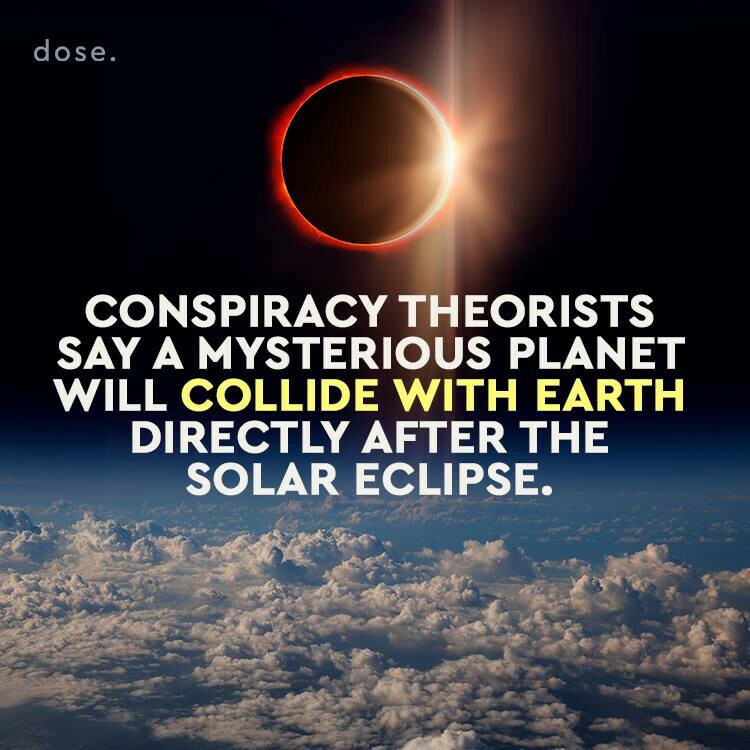 A recent study by meteorologists at the University of Reading found that eclipses can change the way air moves on the ground. In 2015, the study says, 4,500 people noticed a change in the wind during an eclipse in the UK. 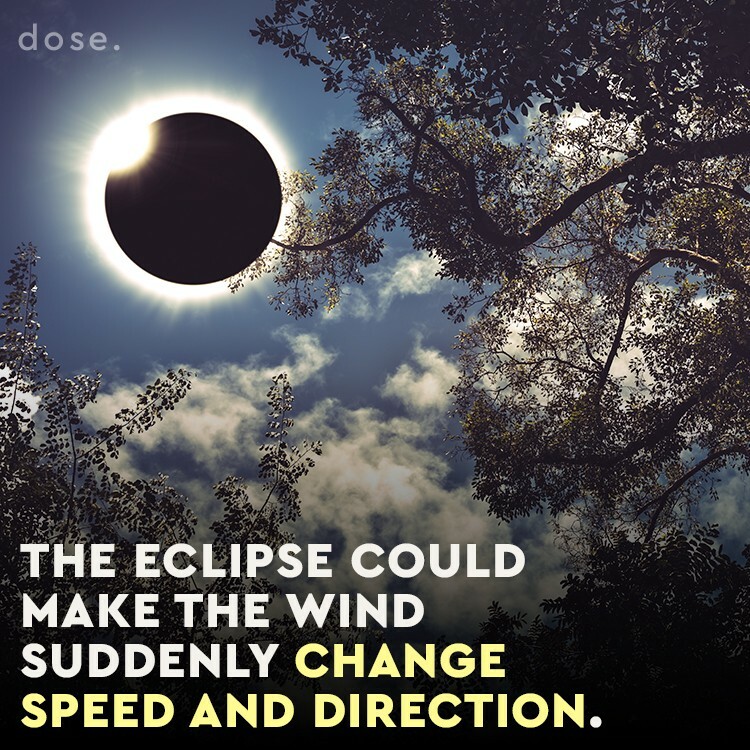 During the eclipse, the direction of the wind could change by as much as 20 degrees, according to Weather.com. Pack a sweater or (better) a windbreaker to make sure you’re prepared. Remember the song “Total Eclipse of the Heart”? Of course you do. It was released 34 years ago but has been stuck in our heads ever since. And suddenly, it’s super relevant again. Bonnie Tyler — the Welsh singer who wrote it — will perform the ballad during the eclipse. Because, obviously! Tyler’s performance will take place aboard Royal Caribbean’s “Total Eclipse Cruise,” which will be positioned in the path of full totality on Monday. Tickets to the cruise are $1,459, though, so you might be better off staying on land and just blasting this song from your phone.